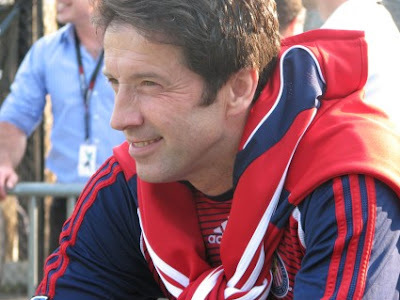 Preki's pre-match comments: crazy like a fox? 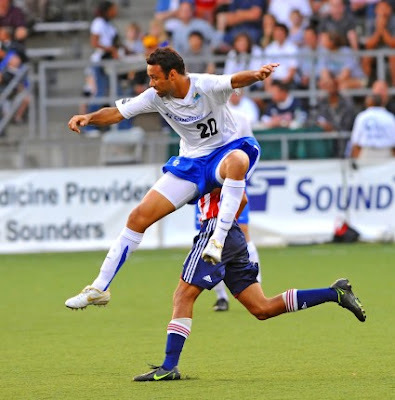 The Seattle Sounders have advanced to the quarterfinals of the 2008 United States Open Cup after a 2-0 victory over Major League Soccer side Chivas USA. Taylor Graham's snap header just before halftime was the eventual winner and Sebastien Le Toux's late-match chip over Brad Guzan was the clincher. The Sounders dominated long stretches of the match played at Starfire Sports Complex in Tukwila. Chivas USA started US National Team goalkeeper Brad Guzan and US National Team midfielder Sacha Kljestan among other regulars. 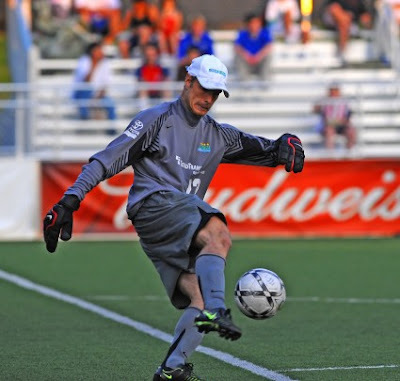 Chris Eylander has three straight shut outs in 2008 USOC play. The Sounders could have made the score 3 or 4 nil with late strikes by Le Toux that zoomed just wide. Match-winning scorer Taylor Graham spoke afterwards about the quick adjustments needed in the US Open Cup, and how having a 2-0 lead late on gave the defense assurance. 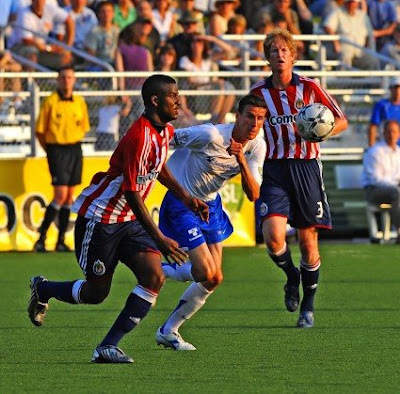 New Costa Rican defender Michael Rodriguez helped baffle the Chivas attack. “There’s not all that much time to work on stuff, so it’s more of a mentality. It’s something we discussed in the locker room,” Graham said. “We have to close out games. Josh Gardner controls in first-half action. The Sounders return to USL-1 play on Thursday with a trip to Carolina. The Railhawks, coming off their Open Cup loss to Kansas City on Tuesday, dealt Seattle one of its two defeats in league play, 2-1 in Cary, N.C., on May 28. The Sounders will remain on the East Coast after the game, playing at Charleston on Saturday. Now, having made it to the quarterfinals for the second straight season, the Sounders will take on the Kansas City Wizards of MLS next Tuesday at 7 p.m. at Qwest. Tickets go on sale Wednesday morning at www.ticketmaster.com. Prices are $17 in advance, or $20 on game night. It will be the second time Seattle and Kansas City have matched up in quarterfinal play. 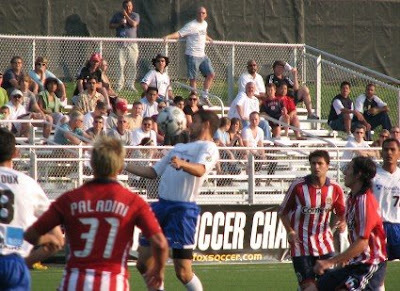 The Wizards rolled to a 4-0 victory at Kansas City in a second-round game in 2001.